IQ's Corner: Article: What is talent – and can science spot what we will be best at? 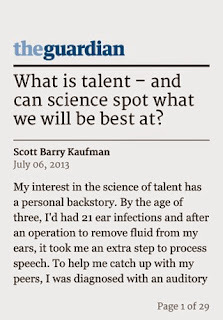 Article: What is talent – and can science spot what we will be best at? What is talent – and can science spot what we will be best at?